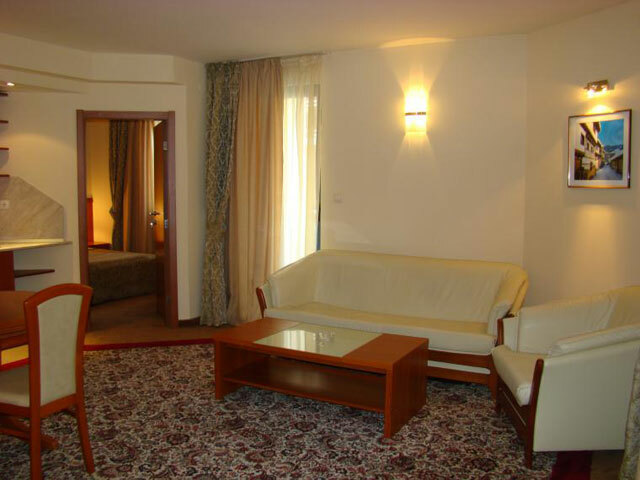 Hotels in Sofia - Legends Hotel in Sofia. 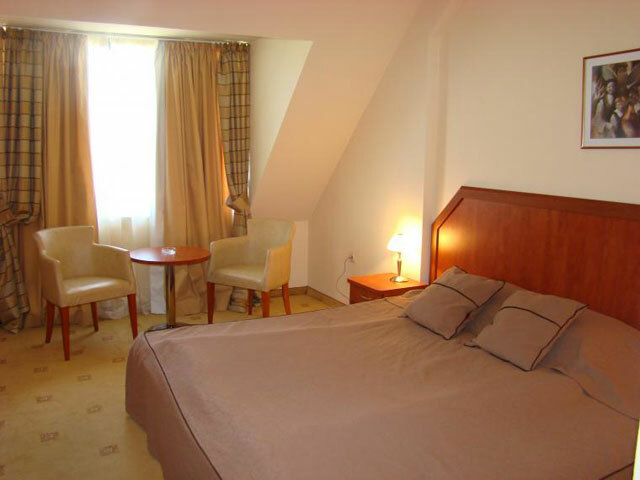 Sofia Hotels - Legend hotel. 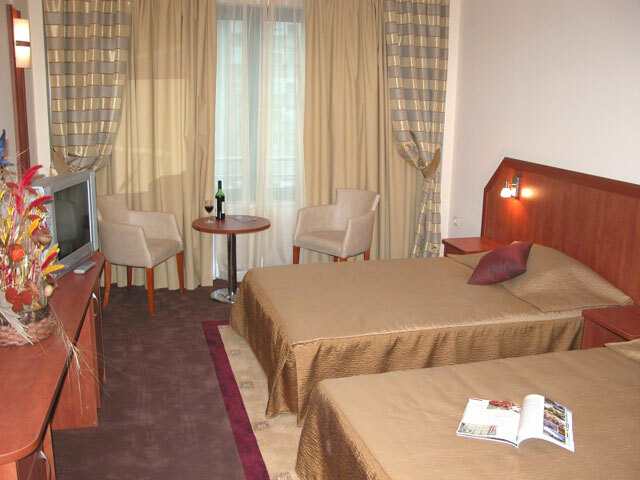 Book Legends Hotel in Sofia. 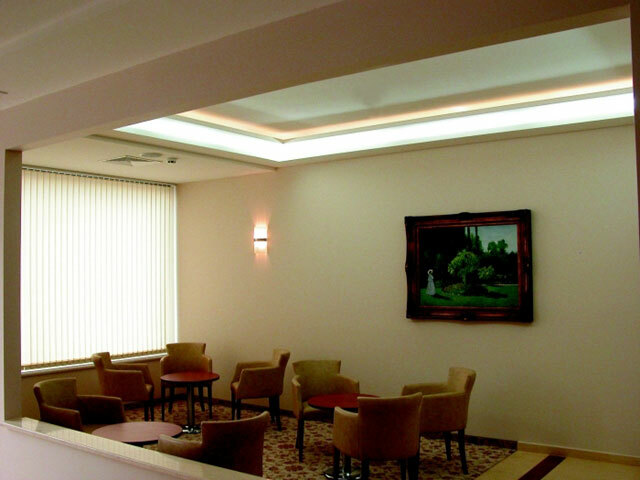 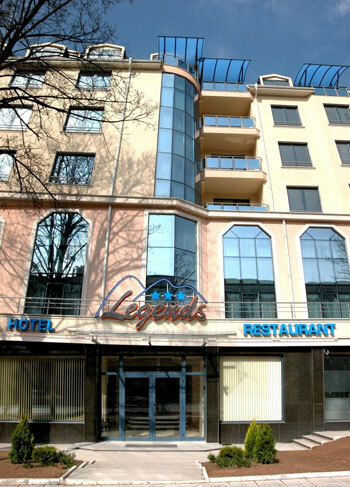 Location: The Legends Business hotel is located in the central part of Sofia - only 5 minutes with car to The National Palace of Culture, City Centre Sofia and the trade centre of the Vitosha Blvd. 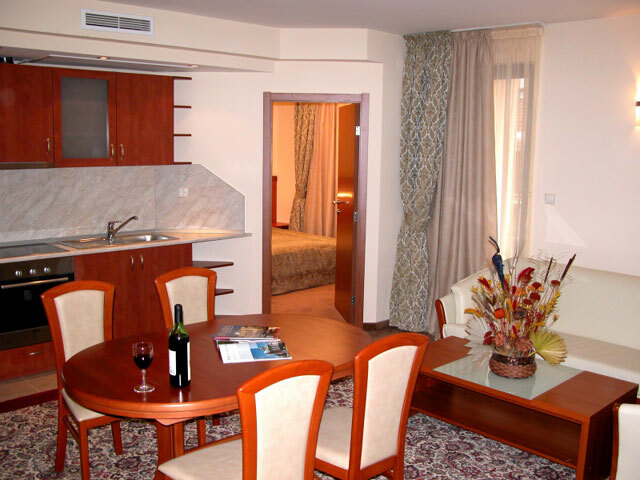 It is fifteen minutes away by a car to the Sofia airport. 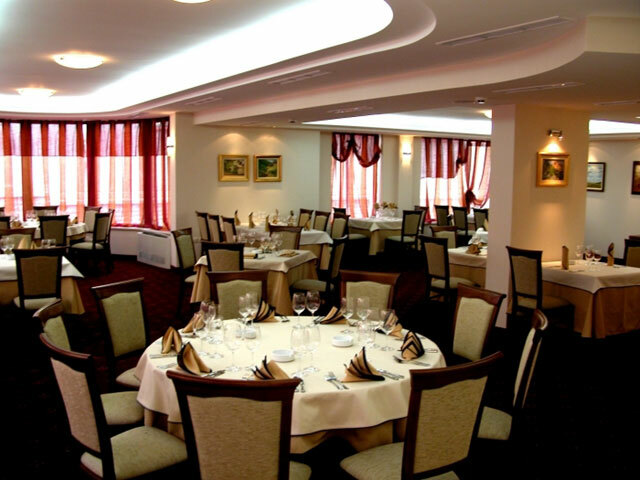 Dining: The Legends restaurant consists of a covered part for sixty people and a winter garden with forty seats, which is the perfect place for official lunch or dinner, wedding celebrations, cocktails and informal meetings with friends. 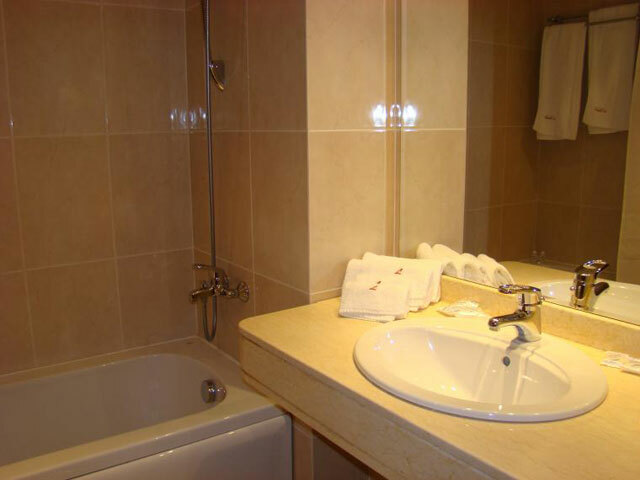 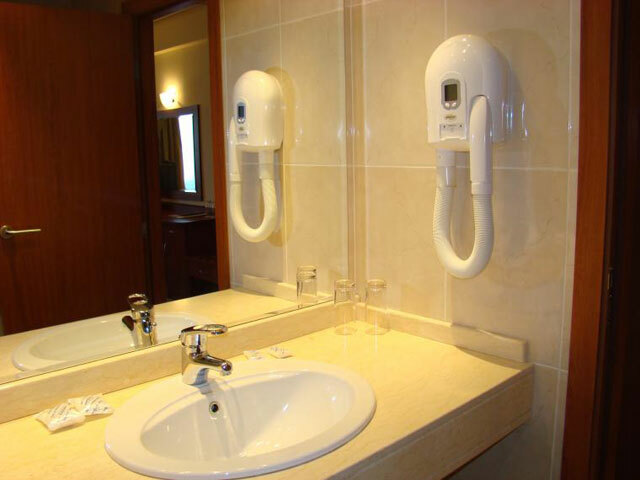 Room Facilities: mini-bar, TV set with satellite programs, telephone, access to Internet, air-condition with individual adjustment, bathroom with a bath-tube, waking up when ordered, etc. 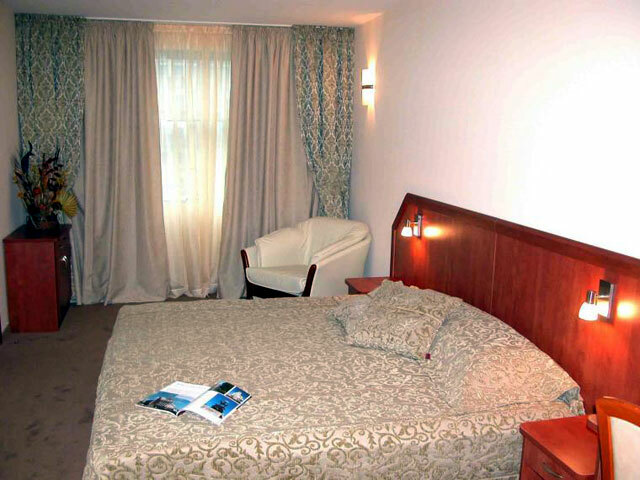 Accommodation: The hotel has three single rooms, forty double rooms with different interior design, two apartments with luxurious furniture that impress with their comfort, which makes the ideal choice for your stay. 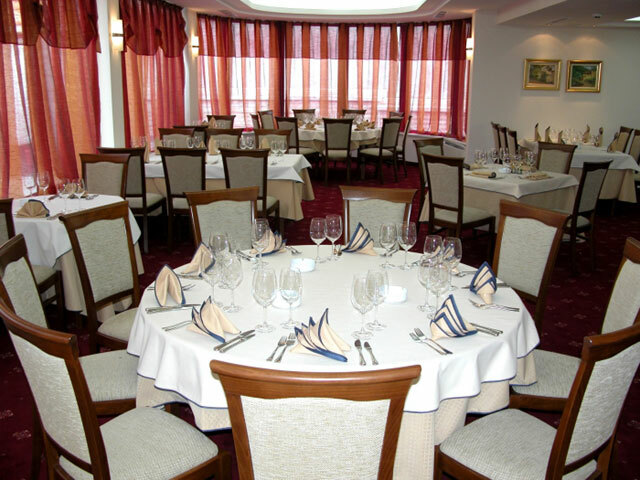 The Legend hotel offers a unique combination of high-quality of service, and comfort. 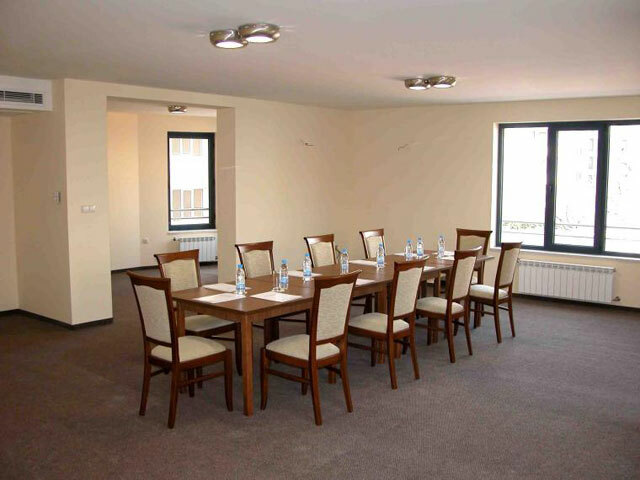 Conference Facilities: The conference hall is ideal place for organizing conferences, seminars, trainings and presentations for up to 50 people. 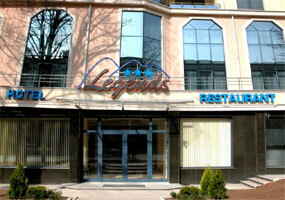 * Please note that all guests of Legends Hotel made reservation through this web site use for free Internet access.